Shaker cabinets are trending in every kitchen these days. The simplicity and elegance on offer has made these cabinets quite popular. This type of cabinets, offer a chance to make our kitchen and bathrooms beautiful and better, as they are available in different colors and styles. Following are some different colors and styles of shaker cabinets, with which you can make the cabinets of your home. Backsplash not just saves the wall from getting dirt, but also makes walls beautiful. While living in the modern time, it is necessary to have a modern kitchen. 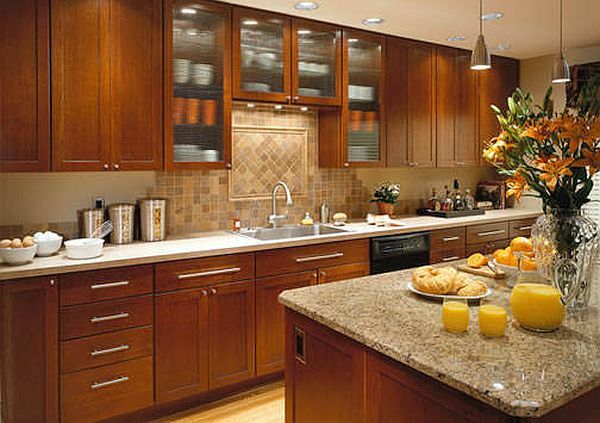 Using brown colored shaker cabinets at home, you can bring an elegant look to the place. When you combine it with glass backsplash, it looks amazing. Brown colored shaker cabinet’s looks great with multi colored glass backsplash. It not just provides an elegant look to the kitchen but also add freshness to the place. White is one of the most elegant colors that add beauty to your home. Whether it is your bathroom or kitchen, white color create an elegant environment. You can design your kitchen with whimsy white colored cabinets and color the handles of the cabinets with a dark color. 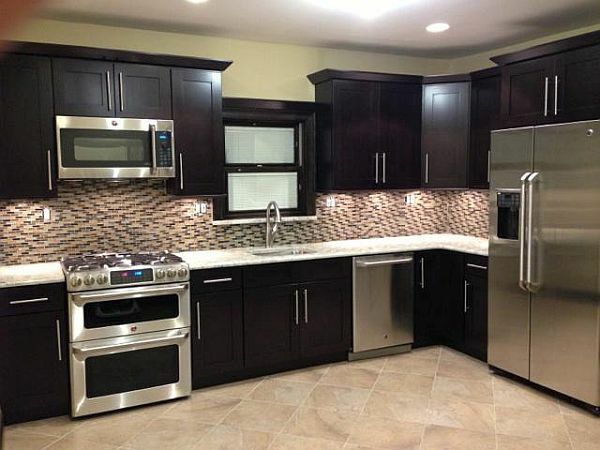 Dark color handle with white colored cabinets looks amazing. If you want to make it classier, you can add some white hanging lights and lamps to the kitchen to complete the look. If you do not decorate your kitchen with lighter colored cabinets, then mocha shaker cabinets will be a good choice for you. 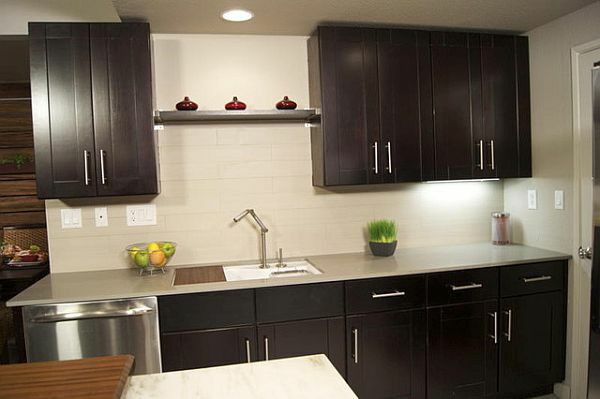 Mocha shaker kitchen cabinets are an amazing combination of shaker style cabinets with some rich dark color. With this style of cabinets, you do not have to worry about getting cabinets getting dirty soon. With just simple cleaning with a soft cloth, you can make them cleaner and shiny. 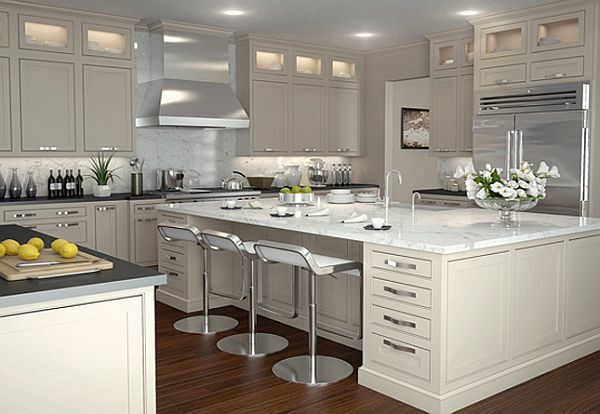 For this type of shaker cabinets, you can go for brown colored cabinets with white a light color backsplash. The dark and light color combination looks good adding beauty to home. You can also finish the look by placing a table and some chairs in between the kitchen. While getting into the modern world, we have forgotten simple things in life. Shaker cabinets are simple but you will get the desired beauty and elegance you want with this style of cabinets. Using this style of cabinets is trending and many people decorate their home with it. Can I go for black kitchen cabinets? Are white cabinets still in fashion?